I Like to use Natural materials. These give life to the handle, the wood can darken, become worn and polished by use. It will age with the owner and become familiar in a warmer way than synthetic handles. I source wood from all sorts of places. Driftwood, fire-wood, wood-worker's offcuts and unwanted garden trees. I like to season my own in order to get pieces that have good figuring, pieces with branches and knots produce the most attractive handles. British woods can have beautiful figuring when cut carefully, and some have a perfect blend of hardness and flexibility. I use tropical woods as sparingly as possible. Buckthorn (above left) is a wood that is not used commercially because the trees are small or commonly bushes in hedge-rows. It has undulating and interlocking grain. The wood is very hard for a british wood. It makes very durable handles with good figuring. This variety is known as purging buckthorn after the medicinal properties of its fruits. It was used as a source of best quality charcoal for gunpowder makers. 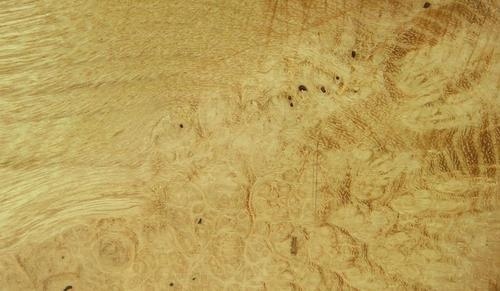 Olive Ash (above right) occurs in the European ash especially where the bark has been breached at some time by the elements or pathogens. 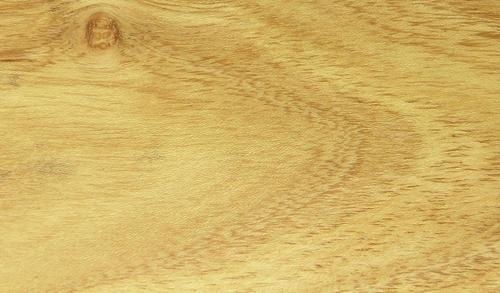 Olive Ash has streaks of dark to light brown through normal ash wood. Ash in general has useful hardness with flexibility and good tough handles. 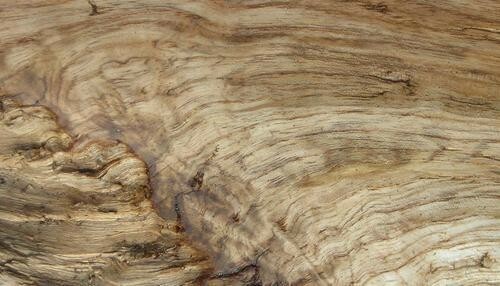 The picture shows the undulating grain found at the crotch of a branch. Robinia or false acacia (above left and right) is a warm gold wood that often produces large burrs. It is inflexible and hard. The burr is unsuitable for folding knife handles as the wild grain makes it unpredictable in use and prone to cracking. The tree was one of the first imported from America in the 1600's but was briefly promoted as a newly introduced superior timber crop in the 1800's but the wood and the growing of it failed to become popular. Box wood was the common handle of choice for many traditional tools and common folding knives across Europe. It is tough and resists splitting impressively.Whilst it is hard it has good flexibility. Boxwood was also engraved as printing blocks before printing advanced to acid etched print faces. It grows so slowly to make very fine grain. 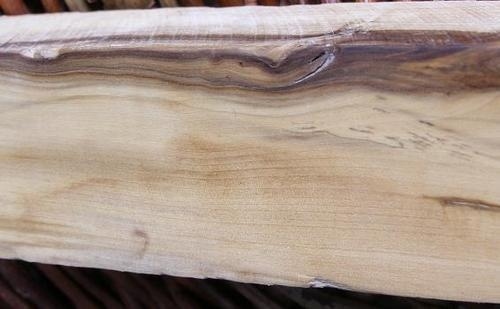 Britain's most dense wood, the only one in the U.K. that floats submurged in water when dry. Box is uncommon as a wild tree.